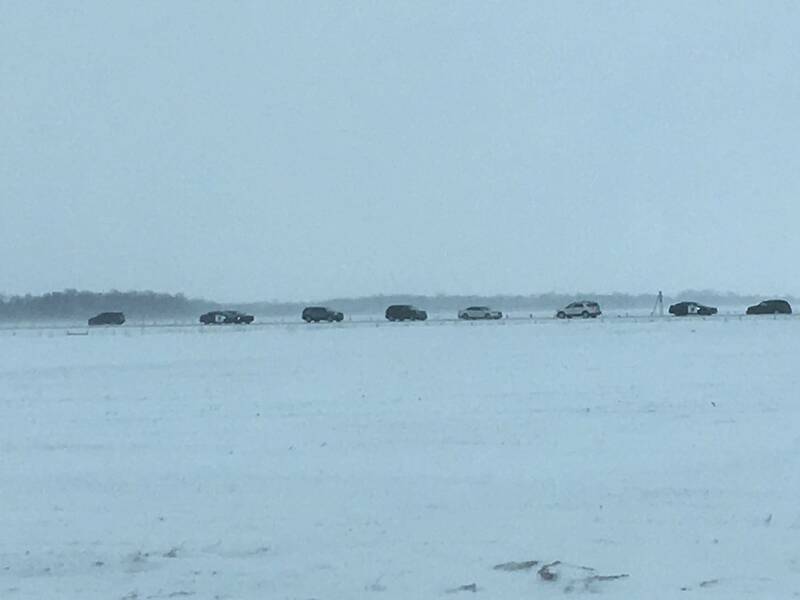 Updated 5:25 p.m. | Posted 3:32 p.m.
What began as a routine Minnesota State Patrol call to help a couple in the ditch near Moorhead nearly ended in tragedy Monday after the trooper discovered the car was stolen and one of the two raised a gun to the trooper's head and pulled the trigger. The gun did not fire, and the trooper was able to shoot and wound the woman in the arm, Clay County prosecutors said Wednesday as they charged the other passenger, a man, with receiving stolen property, giving police a false name and obstructing the legal process. The Minnesota Bureau of Criminal Apprehension later identified the State Patrol trooper as Mark Peterson. Domonique Maurice Crayton, 29, was also charged with damage to property for kicking out a squad car window after he was arrested. Charging documents say he has a current warrant out of Wisconsin for kidnapping, human trafficking, sexual assault and being a felon in possession of a firearm. The complaint against Crayton says that the 30-year-old woman in the car identified only as MVG also has an active warrant in Wisconsin for kidnapping and being a felon in possession of a firearm. She is hospitalized in Fargo, N.D., and has not been charged in the highway confrontation, although the BCA says charges are pending. Peterson was not injured and is on standard paid leave while the BCA investigates, the agency said. The trooper had responded to a one-vehicle crash on Interstate 94 near Minnesota Highway 336, east of Moorhead at about 10:30 a.m. Monday. He found a vehicle had lost control, striking the median barrier and ended up in the ditch. Charging documents for Crayton lay out a harrowing series of life-or-death moments after that for the trooper. The complaint says the vehicle did not have proper license plates, and while checking the vehicle identification, the trooper learned the vehicle was stolen in Wisconsin. He walked back to the vehicle and Crayton stepped out the car. As the trooper attempted to handcuff Crayton, the woman stepped out of the car from the driver's seat holding a 9mm handgun, her arm extended. She "held the gun to the head area of the trooper and appeared to pull the trigger. The gun however did not discharge." The trooper pulled himself and Crayton toward the back of the car while the woman allegedly tried to chamber a bullet. As she raised the gun again, the trooper fired his service weapon striking her in the right arm; she dropped the gun and ran north into a field. The trooper continued to try and handcuff Crayton and they both fell to the ground. The trooper got the handcuffs on. A snowplow clearing the westbound lanes stopped about 50 yards past the incident scene. With Crayton on his stomach behind the car, the trooper ran to the snowplow and recovered a gun, which was under the plow, according to a preliminary BCA report released late Wednesday afternoon. As Peterson ran to retrieve the gun, Crayton got back to his feet just as an off-duty 911 dispatcher came upon the scene. "She ordered Crayton back to the ground and prevented him from getting up until the trooper could return," the BCA said. Peterson, the trooper, got Crayton into the back seat of his squad, where Crayton kicked out the windows. Additional responding officers from the State Patrol, Clay County Sheriff's Office and local police came on the scene, took the woman into custody and tended her wound until an ambulance arrived. She had collapsed in the nearby field. The BCA said the shooting was captured on squad video but there is no body camera video.